William M. “Bill” Claytor was born in March 1944 in Nashville, Tennessee and spent most of his youth in St Louis, Missouri. He attended Rhodes College in Memphis, earned a Master’s Degree in Economics from the University of Memphis in 1964 and received his Juris Doctorate from the University of Memphis in 1969. From 1970 until 1973, he worked for the Internal Revenue Service. In April 1973, he joined the firm. Bill is former President of the Mecklenburg County Bar, a former State Bar Councilor and a current member of the N.C. State Bar Disciplinary Hearing Commission. 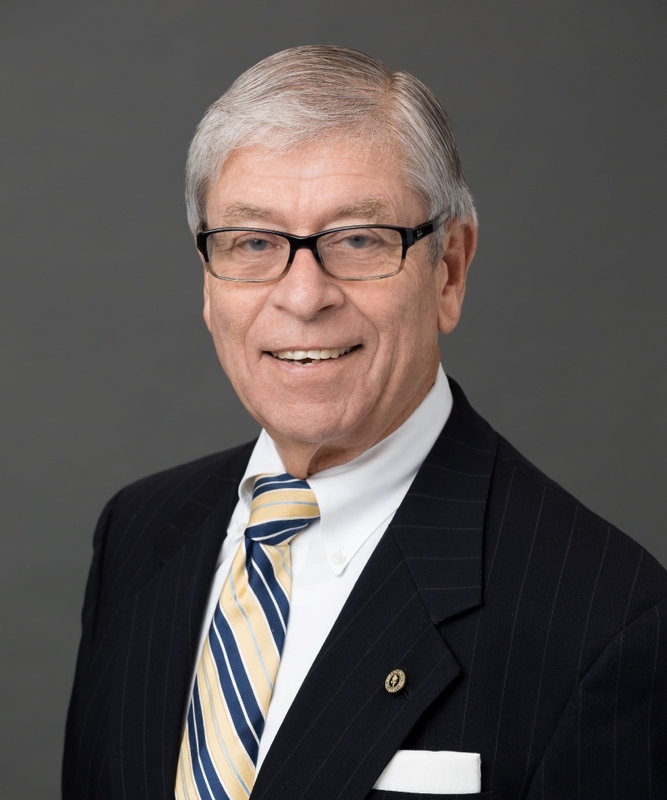 Bill is the former Chairperson of the Central Piedmont Community College Board of Trustees, a long-time supporter of the YMCA of Greater Charlotte, and has served actively in the leadership of St. Johns Baptist Church in Charlotte. His practice areas include Estate Planning, Estate Administration, Elder Law, Corporate Law and Tax Law. Administrated over 750 Decedent’s Estates through the Court and probate process including transfer of assets, pursuant to the Last Will or State Statute; Compliance with tax filing requirements and preparing and filing required documents with the Courts. Planned over 1500 Estates for clients while maintaining the utmost sensitivity to the respective desires of the client, tax requirements and special needs of family members. Advised numerous clients regarding Elder Law needs including Medicaid eligibility, nursing home destinations and financial planning to meet their special needs. Advised corporate and business clients with all Business Related Matters including formation, mergers and acquisitions, collection issues and other miscellaneous matters.